Now this is how you ring in the holidays. 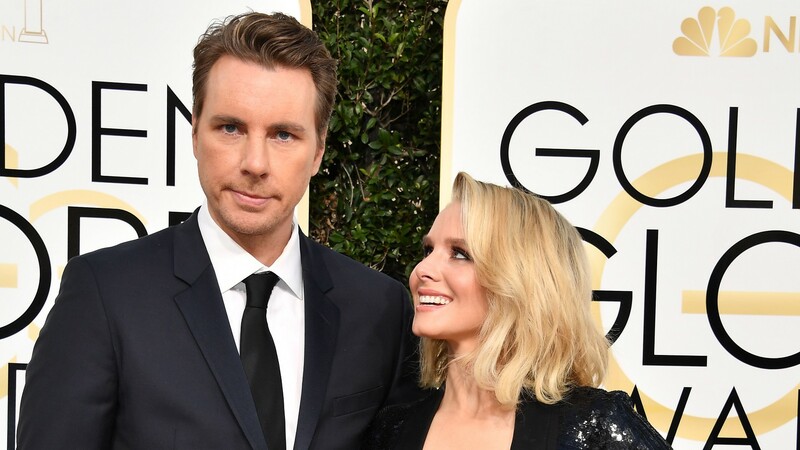 On Sunday, Dax Shepard and Kristen Bell had their annual “superspouse” party with Bell’s former Veronica Mars costar and longtime friend Ryan Hansen and his wife, Amy Russell, and it wasn’t just any old shindig. It was, in fact, the most fantastic skating celebration and the proof of it now lives forever on Instagram. What made the event so “super” was not only that Hansen and Russell joined Bell and Shepard for some roller-skating fun, but it was also because all four donned some unicorn horns and Christmas accessories to really make things extra festive. Thankfully, the married duos Instagrammed photos and videos from their epic roller-skating party that will not only give fans serious FOMO, but also make them wish they could roller skate with the couples every single day of the week. In a post of the foursome shared by Bell, the couples can be seen smiling and making funny faces. Bell captioned the image, “The annual #Superspouse roller skating party! It’s unclear if Bell and Shepard’s daughters Delta and Lincoln were present like Hansen’s children, but it seems likely, especially based on one of Shepard’s Instagrams of his sister, Carly Hatter, holding a unicorn cake. “AUNTIE OF THE YEAR!!!!! Carly made the most impressive unicorn birthday cake in the history of the world for Delta! !” he wrote. Seeing as Delta’s birthday is on Dec. 19, it appears the superspouse roller-skating party also served as a birthday celebration. That said, Delta and Lincoln weren’t shown in photos or videos. For those unaware, their parents have a strict rule of not showing their children’s faces on social media as a way to protect them. If that isn’t enough when it comes to their roller-skating party, Bell also shared videos from Hansen’s Instagram Story in which she’s skating with Shepard to Toto’s “Africa,” which is totally appropriate if you’ve seen that video of their travels to the actual continent of Africa. The love I have for @officialmoonlightrollerway cannot be contained in insta stories alone. This isn’t the first time the superspouses have gone roller skating together. In early December 2017, Shepard rented out the exact same skating rink for Bell, and they had the most fabulous time ever. They clearly had so much fun, going roller skating around the holidays has now become a superspouse tradition — and an amazing one at that.